This blog has been bringing news, tips and interviews regarding social media marketing, email marketing and the integration of both for three months now. This weekend, after having a chat with some friends (thank you Tamara), I decided to focus more on hands-on advice.So I created a 14-page guide on how to develop a social media marketing strategy. It also contains an action sheet about social media marketing. In this first guide (so I hope there will be more) I look at some of the main strategic social media marketing considerations and provide you a list of questions to ask yourself before implementing a social media strategy or to improve your existing strategy. I cover topics such as key success factors, creating value and relationships, the role of social media, the importance of listening, letting go of your brand, social media hubs and what I call ‘conversation rooms’. The guide also sums up some strategic considerations regarding social media marketing. I hope it helps many of you to look at social media marketing from a no-nonsense perspective and hope to provide follow-up guides that elaborate further on some topics. Now, what do you have to do to get this paper? Simple: I offer it as a gift to all the people that have signed up and hopefully will sign up to my newsletter. And I promise the newsletter will contain valuable tips too! If you want to see a preview of the newsletter, click here and for more whitepapers, check out this little library. You have to become “equal” with people who follow you and know how to transfer the sentiment. 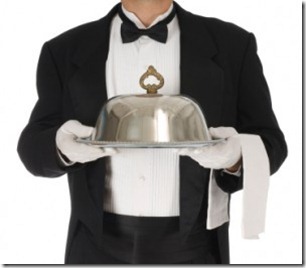 You have to remember that followers attract more followers – not the leader. I hope you enjoyed this video and have a great Easter everyone! What the Priests and Social Media Citizens Have in Common? I am not that much into religion, but was having some thoughts about social media community and it’s Teletubbic vibe or the goodness surrounding it. It brought me to this idea that goodness is very transferable and viral in it’s nature, therefore I’ve decided to analyze what do social media people have in common with priests and what they could learn from this honourable profession. Well we know that social media is all about good listening. 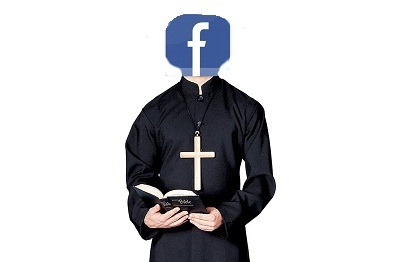 Social media people are a bit like the priests in their confessionals, waiting for the users to acknowledge the “sins” about their need and wants, that they could “help” them with the brilliant content, products or services. I think one from the many things we could learn from the priests is that listening is not one way process – you have to ask the right questions in order to get the right answers. Well, I’m just being honest with myself – I love to preach. I bet that there quite a few social media professionals who feels the same way. The blogosphere is an ideal place for that; it’s like a big church where you can push your ideas to so many different audiences. The one thing to remember though, you have always to remember the purpose of your preachment – it’s not about you it’s about what your audience can take from your lecture. Religion is all about community building and transferring the values and beliefs to the community. It sound a lot like what community managers are trying to do for their clients – transferring the emotion, values and belief of the brands to the community. Social media citizens have to remember that building the real functioning community takes a lot of time, work and patience. Ok, I’m under no illusions that blogosphere and social media enthusiast don’t want to earn money, but the thing I like about social media that you can add value for yourself by creating some added value for someone else as well. Everyone is doing what they are doing with some intention – the church leader wants to become a Pope one day as a social media professional wants to reach the new highs in his/her environment, but an important point to remember is how not to forget the main cause – to create value in order to get value. I was stumbling trough Youtube videos the other day and found this quite interesting and a bit weird video. My first reaction was – WTF? No disrespect for people’s initiatives to create an interesting promotion video/greeting – but it just made me smile. Even though it is a really weird video, I bet people who got it was really pleased with it, because it is so personal, honest and humble. If your are creative, fun and original sometimes a simple Thank You is more than enough to show your appreciation to your customers. The simple truth. Are you here to make friends? If you’re looking for a job you’d better have friends. The number-one way people find new jobs is referrals by friends. Once you’re on the job, having a best friend at work is a strong predictor of success. Friendships in high school were a strong predictor of increased wages in adulthood — to the tune of 2% per person who considered you a close friend. Want to stay in that job you have? Then you’d better have friends. So are you here to make friends? Welcome to my new series of posts “Social Media Strategies” where I will try to clear up some taboos about social media strategies, tools and other buzz words of our social life which sometimes unnecessary confuse us in this industry. Today I will discuss the content strategy and the changing role of content strategist. The content is accessible to me. Has to recognise the problem why he/she is doing the project and foresee the possible outcomes in order to monitor them. The content strategist has to understand the target audience and analyse what are the main objectives of the brand (provide knowledge or entertainment) and how does the company want to affect this target audience (stimulate action or spread brand awareness). I will update this post from time to time so if you have any other relevant links to add to this list, just post them as a comment. Thanks! 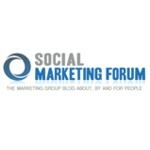 Social Media Strategies: Is Social Media Adoption The New Quality Standard Of Successful Company? Social media is maturing. As many companies have successfully integrated social media in their communication/business strategies and as many more are planning to do so in very near future, it is no longer perceived as the risky investment but more as a necessity in order to keep a competitive edge in the market and maintain the dialogue with consumers. It actually seems that social media adoption is becoming a quality standard of a transparent, customer centric and accessible company. 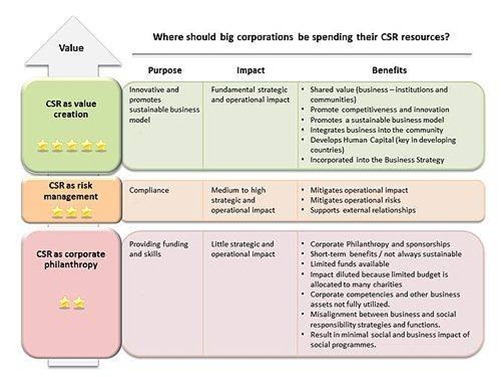 Actually, just like adoption of Corporate Social Responsibility (CSR) strategies has been representing very similar values for over 30 years now. It is quite interesting to compare these two trends and possibly build on the existing knowledge of CSR management when planning social media strategies as they ultimately both are driven by very similar ideas of building competitive advantage through transparency, advocacy, stakeholder’s engagement, adding value to the communities and the empowerment of communities. The world of social media is maturing. People have adopted the new means of communication, companies are experimenting with the new business tools, but how the heart of the media industry is adopting to a new social landscape? Well it is quite strange, but not so well. 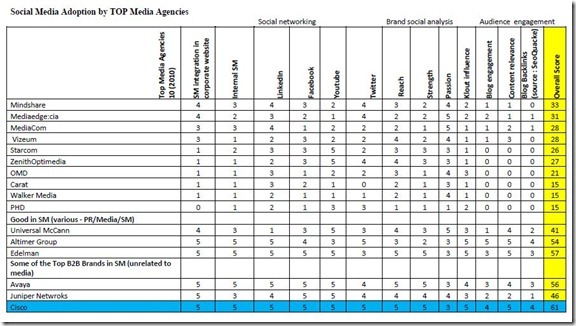 I will try briefly to overview what I found in my research analysing social media adoption in 10 Top Media Agencies and some of the best practises.